Greg is driven to succeed on the football field. ends up as a journey to discover who he really is. If you enjoy reading this story, please let me know! Authors thrive by the feedback they receive from readers. It's easy: just click on the email link at the bottom of this page to send me a message. 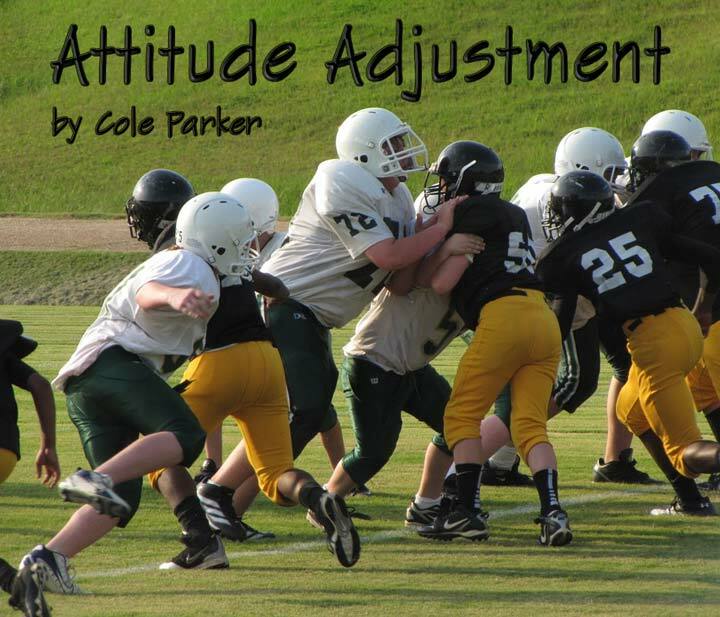 Say “Hi” and tell me what you think about ‘Attitude Adjustment’ — Thanks! This story is Copyright © 2016-2019 by Cole Parker. The image is Copyright © 2019 by Colin Kelly. They cannot be reproduced without express written consent. Codey's World web site has written permission to publish this story. No other rights are granted. The original image is Under the Terms of the Creative Commons License CC0 by pixabay.com #57069.